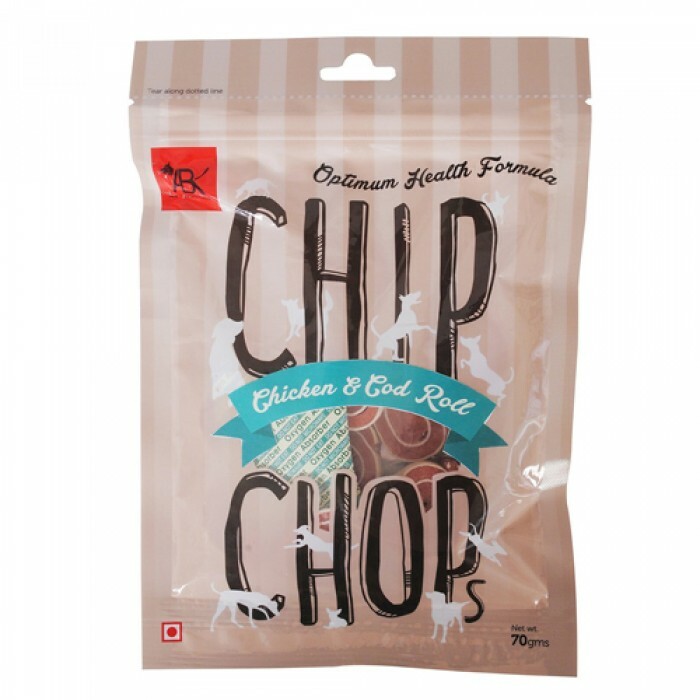 Product Information- Chip Chops Snacks Chicken and Codfish Rolls Chops Chicken and Codfish Rolls. While training your dog, it is a must to keep rewarding the dog to reinforce good behavior. 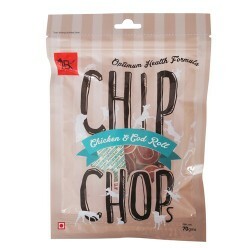 Chip Chops snacks are made of fresh meat. They are carefully prepared to provide a pure, tasty and highly digestible snack. These chicken strips are filled with nutritional goodness that provide a variety of health benefits for your pets well being. Suitable for feeding as snack, rewards for good behavior and to show your pet love with some indulgent pampering.